CMake Error at CMakeLists.txt:2 (project): No CMAKE_C_COMPILER could be found. CMake Error at CMakeLists.txt:2 (project): No CMAKE_CXX_COMPILER could be found.Configuring incomplete, errors occurred! The C compiler “C:/Program Files (x86)/Microsoft Visual Studio 10.0/VC/bin/cl.exe” is not able to compile a simple test program. Check “Run this program as administrator” in the “Privilege Level” box. 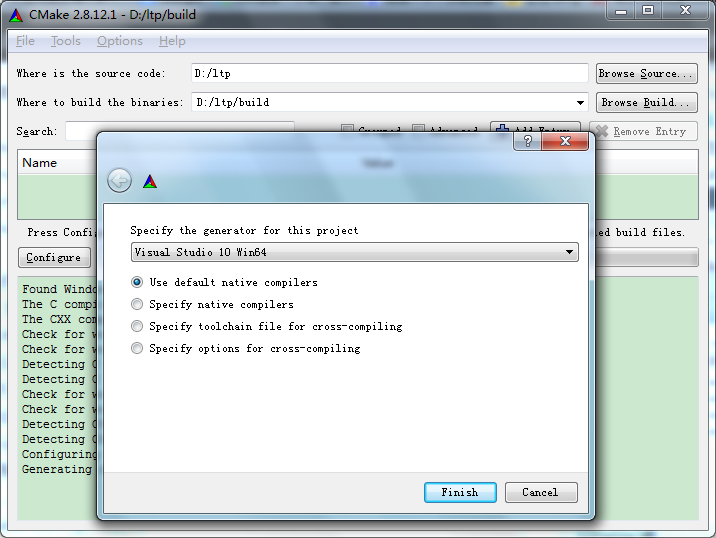 Cannot enable 64-bit tools with Visual Studio 2010 Express. 10.0/VC/bin/cl.exe” is not able to compile a simple test program. CMake doesn’t seem to work if .net 4.5 is installed. If you run into this issue you have to uninstall .net 4.5. Uninstalling .net 4.5 seems to break Visual Studio so then you have to re-install VS2010. 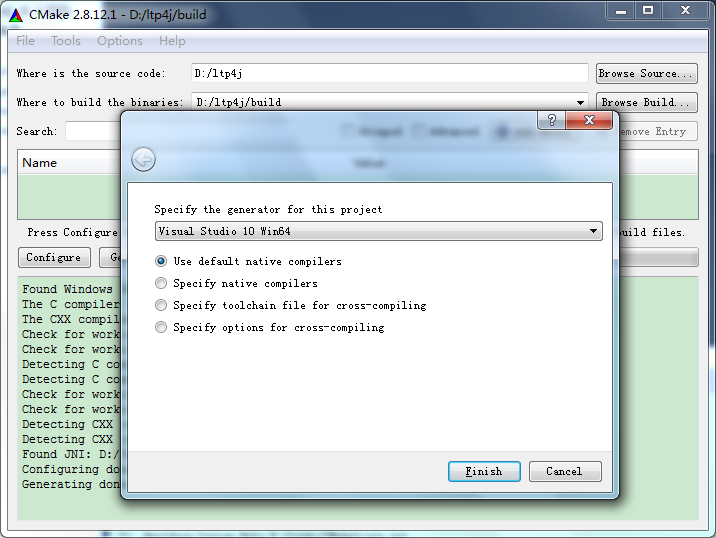 Visual Studio 11 Win64 is the wrong generator for Visual Studio 2013. 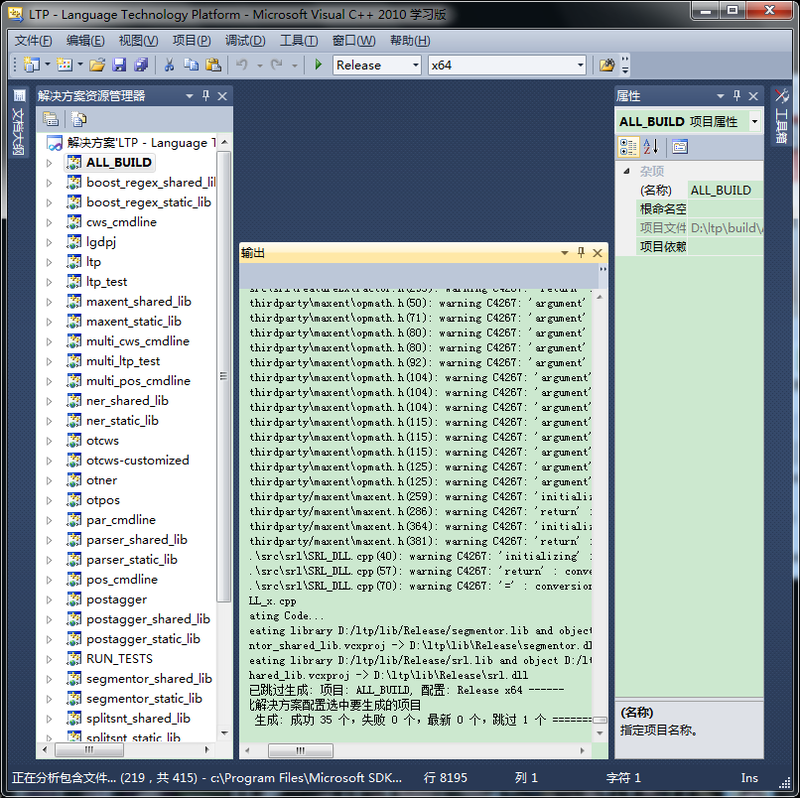 You need to use Visual Studio 12 2013 Win64 if you are using cmake-3.x or Visual Studio 12 Win64 for cmake-2.8.x. Check the VC++ directories, in VS 2010 these can be found in your project properties. Check whether “\$(WindowsSdkDir)\lib” is included in the directories list, if not, manually add it. If you’re building for X64 platform, you should select X64 from the “Platform” ComboBox, and make sure that “$(WindowsSdkDir)\lib\x64” is included in the directories list. System.out.println("  tpye = " + srls.get(i).second.get(j).first + " beg = "